SHINE builds fan and blower assemblies according to your drawings and specifications. If your fan requires a sub-assembly, wire leads with termination, or sub-assembly modifications, we can meet your requirements. Here at our manufacturing center in Adams, Massachusetts, we employ a highly-trained workforce, use state-of-the-art equipment, and are committed to quality. What is a Fan Assembly? A fan assembly moves hot air away from a high-temperature region to protect components that could be damaged by high heat. Air is pulled towards the center of the fan assembly, and then exhausted across the entire surface area. For example, inside of a computer case, a processor or graphics card can produce significant heat. Along with heat sinks, the fan assembly dissipates this heat and maintains safe operating temperatures. SHINE custom-manufactures electro-mechanical assemblies like the CPU cooling fan assemblies used in computers, and blower fan assemblies for industrial equipment. There are two main types of fan assemblies (AC and DC) along with various sub-types. Fan assemblies are used in these industries and applications. SHINE can create complete fan assemblies from cooling fans, fan motors, cooling fan shrouds, rubber parts, metal fasteners, wires, cables, and connectors. As part of our fan assembly services, we provide engineering support such as design assistance and component sourcing. 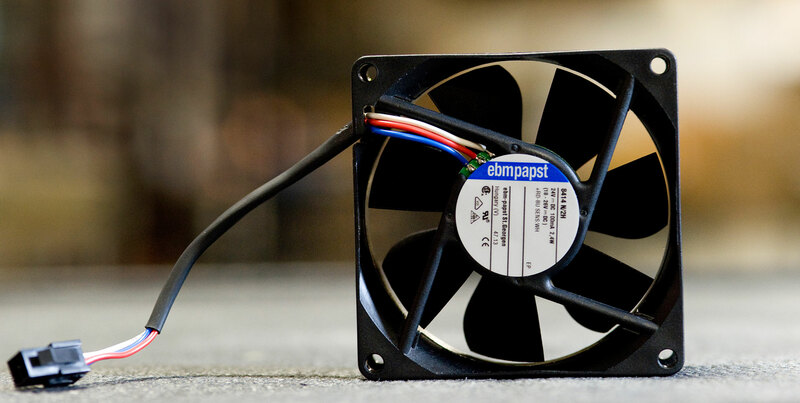 We can also keep your fan assembly components in stock, and then use them to meet your demand. If you fan design requires changes, ask about our fan modification capabilities. Contact us for more information about fan assemblies.